Back in the early 1990s, Dr. Steve Perlman, DDS, at Boston University, cared for special needs patients who needed extensive dental work. He wondered what could be done to prevent those with intellectual disabilities from dental rehabilitation and from that the Special Olympics Special Smiles idea was born. Dr. Perlman later called Dr. Fred Margolis, DDS, and asked him to run the Chicago branch of the Special Smiles program. 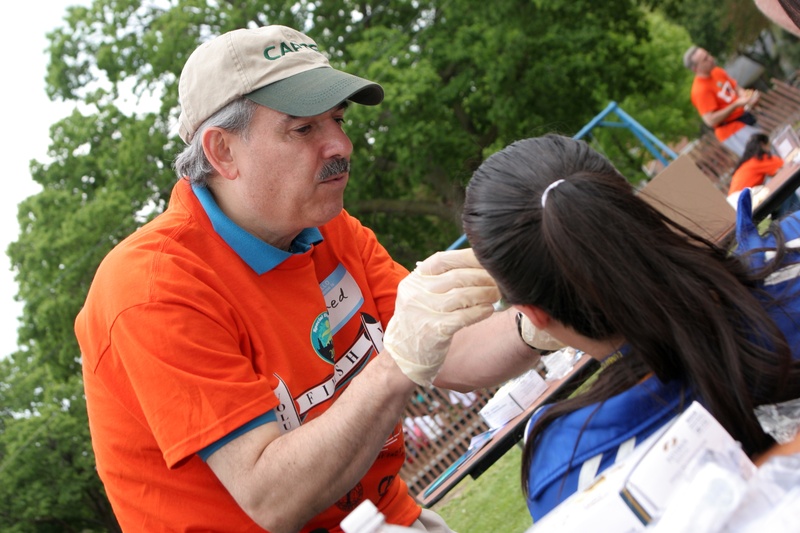 Twenty-two years later, Dr. Margolis (pictured above) and his co-chair Dr. Ricardo Mendoza, DDS, coordinate the Special Smiles program for one day during SOILL Chicago/Area 3’s Spring Games. More than 100 volunteers set up in a park across from Eckersall Stadium. The Special Olympics Special Smiles program provides comprehensive oral health care information, including free dental screenings from dentists and dental students and residents. 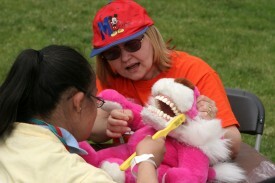 Dental hygienists give instructions on correct brushing and flossing techniques to participating Special Olympics athletes. Athletes receive a goodie bag with preventative supplies like toothpaste, toothbrushes and fluoride varnish. The goodie bags also include a list of dentists and dental clinics that accept patients with special needs. During his tenure with Special Smiles, Dr. Margolis estimates the program has seen more than 12,000 athletes. This year, more than 500 athletes will visit with the dental professionals. The athletes are able to meet with dentists on their own terms – where they feel comfortable. Special Smiles is part of the Special Olympics Healthy Athletes program which offers health services and information to athletes in need. Special Olympics has become the largest global public health organization dedicated to serving people with intellectual disabilities. Special Olympics Illinois currently offers 5 other different health screening programs throughout the state including FUNFitness (physical therapy), TRAIN (Testing Recreational Activities and Improving Nutrition), Healthy Hearing (audiology), MedFest (sports physical exam) and Opening Eyes (vision).